18 hours SMOH, all logs, disc brakes. Skis included Don't miss the chance to own this aircraft. 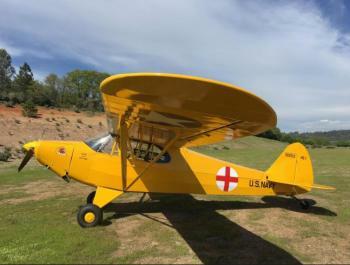 Click here for more details..
1941 J4-E Piper Cub Awarded the Grand Champion best Warbird at SERFI in 2000! TTAF 2440, SMOH 510 Completely refurbished in 2000 from tail to spinner. C85-12 Continental modified to 0200 configuration. Refurbished with ceconite and painted with the British war markings and the Normandy invasion stripes. Refurbished with new avionics in 2000. Original military style radio, flare drops, a......more. 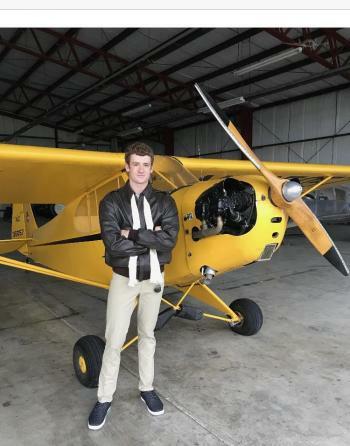 Airframe Time: 5932 Hours Total Time Engine Time: 11 Hours SMOH on 0-290-D2, 135 HP, in 2018 with 2000 hour TBO Propeller Time: 11 Hours SNEW on Sensenich fixed pitch two blade Annual Due: May 2020 Useful Load: 483 Lbs......more. Full Restoration Completed. There was over $150,000 invested in the restoration. 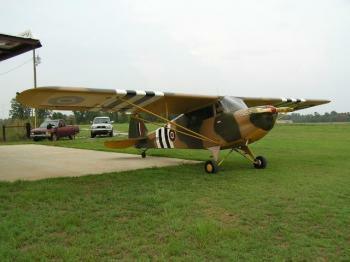 Can be flown under Sport and normal category. Sold with fresh annual. Subject to verification at time of purchase. $92,500 OBO. Engines: O-200-A. 25 Hrs. Since Complete Major Overhaul by Premier Aircraft at HIO. Props: Two props. Metal and wood......more. Totally restored 1295hrs. total, 30smoh 0320 160hp Don't miss the chance to own this aircraft. 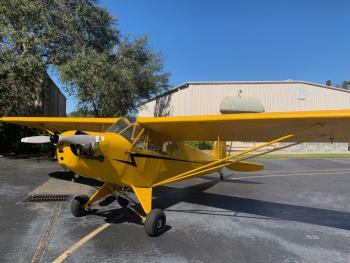 Click here for more details..
Total Time:	3940 TT Engine:	25 SMOH (C-85) Propeller:	25 SPOH Exterior:	CUB YELLOW & BLACK Interior:	BLACK # Of Seats:	2 Seating:	2 TANDEM Annual Due:	6/19 Other Equip:	DON'S DREAM MACHINE W/ELECTRIC START GROVE DISK BRAKE CONVERSION KIT ......more. 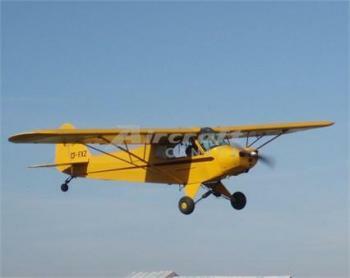 PA-11 Cub Special. Wheels, Skis and Floats. 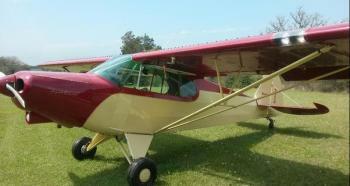 Classic aircraft with beautiful restoration in 1998. Rejuvenated 2015. New 8*4 Tires. New Mags. 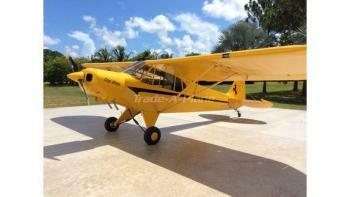 Aircraft is subject to verification of specifications, logs, times, damage and all equipment listed. Airframe 4410 SMOH Type Cert A-691 Engine(s) Cont C-90-8F	1020 SMOH......more. 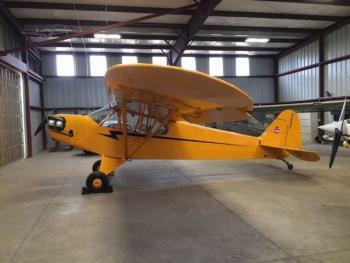 2016 PA-11 Clip-Wing Cub Special (PA­11 Clone), Flying as LSA, Experimental Amateur Built Airworthiness Certificate Issued 7/6/2016, Poly­Fiber, Flying off 25hrs on Cert. 0­ overhaul, O235­L2C, 118hp, 72" Sensenich Ground Adj. Composite Prop., Park Brake, Advanced Flight Systems AF­5500 Touch High Resolution Display EFIS Panel, ADAHRS, ADSB In/Out, TAWS, HITS, WX/Traffic, AOA, GPS, Panel Moun......more.